The game is set during the events of the Clone Wars that started at the climax of the movie Star Wars Episode II: Attack of the Clones. In the game, the player is expected to take command of a Clone commando team, made up of elite Clone troopers. These "clone commandos" have been specially bred at the clone factories on Kamino. 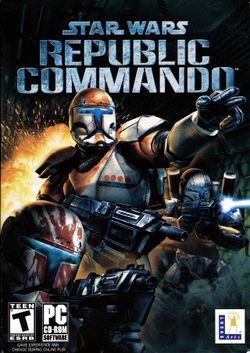 The commando team will travel to various locations in the Star Wars universe, including Kashyyyk, Geonosis, and the derelict spacecraft, The Prosecutor. This page was last edited on 10 July 2016, at 00:21.